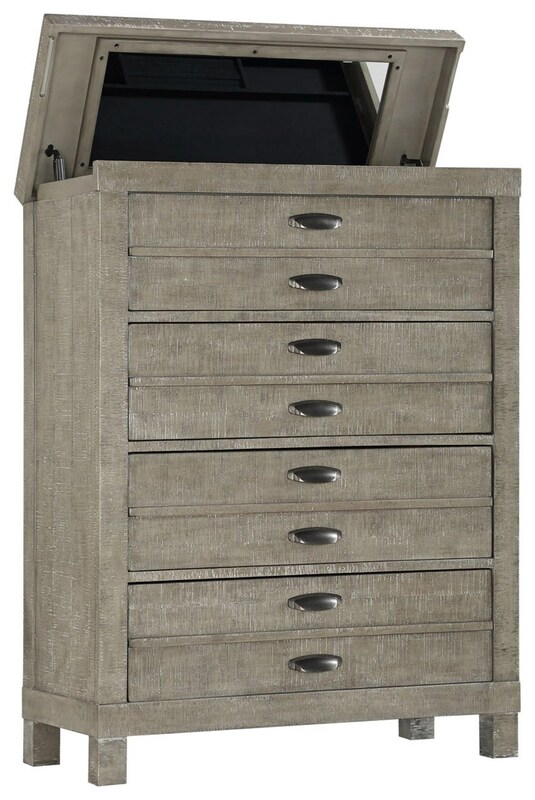 Declutter your space and keep your valuables safe with this charming lift top chest. The hidden felt-lined storage tray protects your necklaces, rings, earrings, and watches from both damage and prying eyes. The Townsend Lift Top Chest with Jewelry Tray & Mirror by Austin Group at Great American Home Store in the Memphis, TN, Southaven, MS area. Product availability may vary. Contact us for the most current availability on this product.